TIME magazine unveiled its annual “TIME 100 Most Influential People in the World” list on Thursday, a widely-ranging group that includes global leaders and their advisers, musicians and movie stars, world-class athletes and chief executives. U.S. President Donald Trump made the list for a second time, and this year, so did his top two advisers, his daughter, Ivanka Trump and her husband, Jared Kushner. But the eclectic mix of names, selected by TIME editors, also includes Olympic gymnastic champion Simone Biles, Pope Francis, Republican donor Rebekah Mercer, and actor Ryan Reynolds. 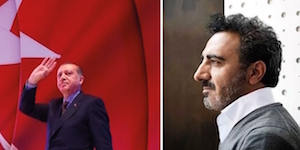 President Recep Tayyip Erdogan and Hamdi Ulukaya, Founder of Chobani made the list as well. Davis Polk advised the representative of the initial purchasers on a Rule 144A/Regulation S debt offering by Chobani, LLC and Chobani Finance Corporation, Inc. of $530 million aggregate principal amount of their 7.500% senior notes due 2025. Chobani, headquartered in New York, is a leading natural food company that manufactures, markets, distributes and sells Greek yogurt and other yogurt-based products in the United States and select international markets. 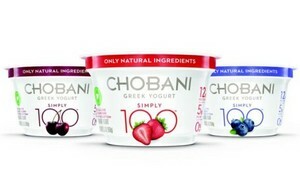 Chobani is the number 1 brand in the U.S. Greek yogurt market. A group of Turkish lawyers on Friday filed legal papers accusing 17 U.S.-based individuals -- including top officials, politicians and academics -- of supporting the Fetullah Terrorist Organization (FETO). Lawyers submitted files to Istanbul’s chief public prosecutor against a number of people -- some American nationals as well as Turkish nationals in the U.S. -- for alleged links to FETO. According to Turkey’s government, FETO and its U.S.-based leader Fetullah Gulen orchestrated the defeated coup of July 15, 2016, which left 249 people martyred and nearly 2,200 injured. Turkish-American developer Murat Agirnasli and partners filed an offering plan for a 54-unit condominium at 570 Broome Street, New York State Attorney General’s office records show. The target sellout for the apartments is $149.2 million, for an average of $2.76 million per condo. Agirnasli filed preliminary construction plans in 2014, planning a mere 185-foot-tall, 30-unit building. 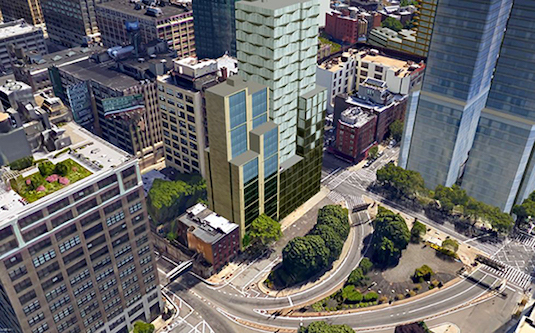 The developer will now build a 287-foot structure, however, after buying $3.5 million in air rights. 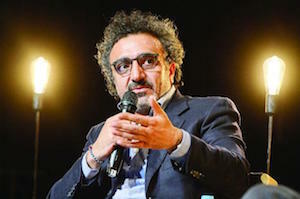 On Thursday, April 27, 2017, the Arab American community will honor Chobani CEO Hamdi Ulukaya for his commitment to service and empowering others. The Award for Individual Achievement will be presented during the 19th annual Kahlil Gibran Spirit of Humanity Awards in Washington, DC. An immigrant, Ulukaya established his Greek yogurt company “Chobani” in 2005. In less than a decade, he grew the company’s worth to more than $1 billion. After witnessing the worsening refugee crisis around the globe, he established the Tent Foundation—his personal philanthropy that seeks to improve the lives and livelihoods of the world’s 65 million refugees and displaced people and help them realize their full potential. 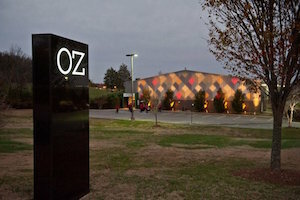 Drive down Cockrill Bend Circle in west Nashville's industrial area, and you'll land in a land far away--at Oz Arts Nashville. The former cigar warehouse-turned-arts-center is where live performances, art exhibits, fashion shows and fundraisers are opening minds and creating conversation in Music City. "Presenting artists that are making commentary on those things (current events) is powerful," said Tim Ozgener, president and CEO of Oz Arts Nashville. "It's the audience seeing it, and then letting themselves think about things. And I find that a lot of times, it's more powerful than watching talking heads on a cable network, for example." 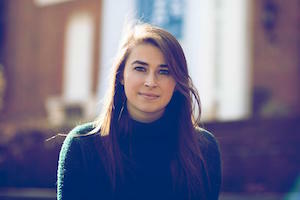 After she graduates next month from the University of Virginia in just three years, art history major Emily Cox will continue her studies at the University of Oxford in England as UVA’s first participant in the Mica and Ahmet Ertegun Graduate Scholarship Programme in the Humanities. Cox, of Fairfax, a distinguished major in art history, is specializing in fin-de-siècle political art – particularly the work of Camille Pissarro, and his use of light and liminal spaces in “Turpitudes sociales” (1889), a collection of pen and ink drawings showing what Pissarro thought were the horrors of the capitalist society, and the nighttime scene, “The Boulevard Montmartre at Night” (1897) as keys to understanding Pissarro’s politics. Chobani Founder to Be Featured on "60 Minutes"
TWIN FALLS, Idaho (KLIX) – Chobani founder Hamdi Ulukaya and his famous yogurt company will be profiled on the popular CBS television news program “60 Minutes.” The Greek yogurt giant will be featured on the program this Sunday, April 9, according to the TV network. 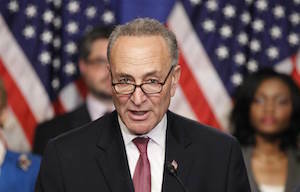 Ulukaya opened his Twin Falls manufacturing plant in 2012 – he has another one in New York – and in recent months it has been the topic of some controversy by alternative media because it is partly staffed by refugees. Chobani Founder to Be Featured on ?60 Minutes? 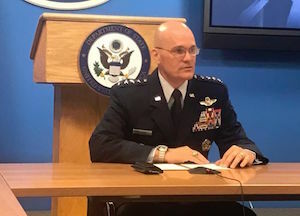 General Carlton D. Everhart II: "Incirlik Base Is Critically Important"
Ali Cinar-New York - The Air Mobility Command originated on 29 May 1941 when the Army created the Air Corps Ferrying Command (ACFC) to fly American-built aircraft to Great Britain. For more than 76 years, this unit has restructured few times but Mobility Airmen have been critical to growing global reach and operational agility for the joint warfighter. The Headquarters Air Mobility Command has consolidated with Headquarters Military Airlift Command last October. AMC is currently headquartered at Scott Air Force Base, Illinois, east of St. Louis, Missouri.